✽ I'm in the midst of a temporary health challenge that has me off work for several months. I have lots of time for reading and reviewing, though the illness comes with some challenges to energy and focus. So far I think I can say the blog is coming out a little bit ahead on the equation. ✽ If you've been reading here for awhile, you might recall that I've been trying to get myself to read a bit more (some? any?) non-fiction, and it's been quite the uphill road. I've figured out the solution: audiobooks. Generally I do not like listening to talk radio, or talking-head TV. I never thought I'd like audiobooks, but it turns out that a good narrator is able to bring non-fiction to life in a way that my inner reader-voice cannot. I don't really want to dilute my brand here on the blog so when I choose to review those, I'm putting them over on Goodreads. ✽ So I mentioned before, I had been reviewing for the last few years for RT Book Reviews. With their closing, I'm selectively choosing a few books off of Netgalley and other sources for review, but my self-discipline has never been great. I am forcing myself to review everything I have open there before picking new ones. So you're going to occasionally see reviews for older releases, but hey, why not. ✽I wrote this bit (slightly updated) almost a year ago and never posted, but the links are worth checking out if you haven't seen them: Twitter is evolving. There have been threadrolls and Storifications and so on before but I've never seen anything quite like what Oliver Willis has done, and it is insanely good (the whole project is available as a novella on Amazon - I recommend it, assuming your politics align). However, before Willis launched this masterpiece, we had Yo Can You Help Me Out from Sam Sykes and Chuck Wendig, which I 100% adore. I was not the only one, so there have been a few more of these epic dialogs unfold, like the Lovecraftian Hey How's It Going; a hellish goat pyramid scheme in "Yo Hey You Busy." 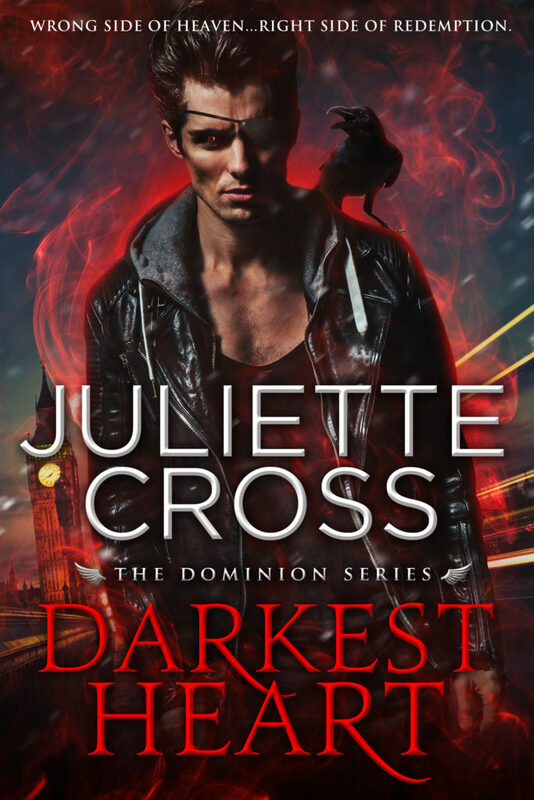 I just can't get enough Urban Fantasy and Paranormal Romance lately. Having some trouble getting into historical or contemporary-- bring on the werewolves, vampires, witches and magic! ✽Rachel Caine's Weather Warden series. I've had a number of these paperbacks around for a couple years now and I decided to get serious. I binged the first 5 books but got a little stuck on the 6th. Probably just needed a wee break. I'm enjoying them and hoping to write up a series review when I finish them. ✽Jeffe Kennedy's Dasnaria Chronicles. The third in the trilogy, Warrior of the World, is due out in early January. Look for a rave review from me as we get closer, but I've enjoyed the whole trilogy (oh hey, looks like the first in the trilogy, Prisoner of the Crown, is on sale for $0.99 -- do yourself a favor and snap it up), as well as the latest in the Uncharted Realms series, Arrows of the Heart. ✽I went back to my PNR roots and grabbed the most recent Black Dagger Brotherhood book, The Thief (when I noticed the price had come down). I liked it, but I felt a little let down with Sola's character. I liked her so much in the early parts of their arc but she didn't quite hit the high notes for me overall. The Jane and V arc worked fine for me, though I'm finding these original-brothers'-marriages-in-crises arcs to be getting a little stale/repetitive. 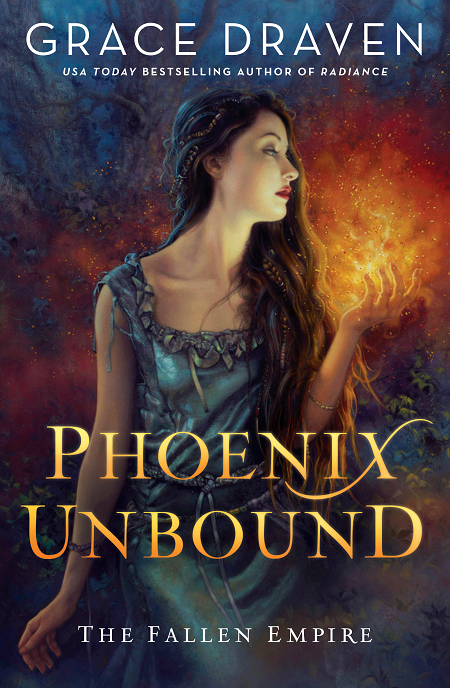 ✽Last but definitely not least, I grabbed the latest Hidden Legacy (Ilona Andrews) book, a novella titled Diamond Fire, about Nevada's younger sister Catalina. Predictably, I loved it a lot and it inspired a re-read of the whole preceding trilogy. These are so, so good. ps -- apologies for the wonky font situation. My HTML is befuckered and I have run out of patience trying to deal with it. Sigh. 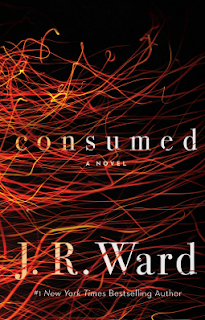 Consumed brings in the best of the Black Dagger Boys in a contemporary, non-paranormal context. Danny reads a little bit like a less-damaged Butch, and the boys in the firehouse are deftly set up for the next JR Ward Dude Group. The characters are diverse and down-to-earth; more blue-collar and less blue-blood; struggling with the real-life baggage that tends to get in the way of a healthy relationship. The suspense plot keeps it from being too angsty and Ward's hallmark storytelling is on point. One of the threads that I really enjoyed is that as a firefighter, Anne is the only woman in her precinct, and as much as she wants to be treated as one of the guys, she gets a certain "little sister" treatment. While her work is respected and she isn't coddled, it's more about her place in the social constellation of her team. I thought Ward did a great job of threading that needle. Anne's status changes after the "risky decision" mentioned in the blurb, and the way she adjusts is one of my favorite things about the book. Danny... well, Danny. Readers who are allergic to the physically uber-alpha should know by now to give anything by J. R. Ward a pass, and Danny is no exception. He's physically tough, ridiculously stubborn, carries a bunch of family baggage, and loves with his whole heart or not at all. And by "not at all," I mean "turns it into a stream of self-loathing." Usually I feel like Ward's books are all about the hero with the heroines hovering in "accessory" territory, but it's reversed in Consumed. Danny is a worthy foil and gets a decent hero's arc, but Anne is for sure the star. I've noticed a definite trend in Ward's book about characters seeking therapy for their issues and I think that's a great thing. Love cannot conquer all, and the rise of the angsty hero also created this trope where the expectation of the Happily Ever After kind of included some magical love-heals-all-wounds subtext. I'm glad to see explicit inroads on that subtext. Love doesn't mean finding the perfect person, and love can be healing for sure, but finding a partner does not equate to fixing a person, and that's a message that deserves repeating. 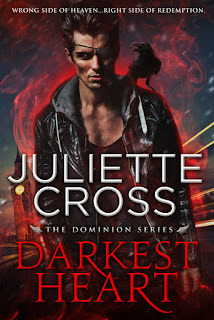 I think this author is incapable of writing a book without multiple arcs, and in my opinion, it's very well done in this book, though there is plenty of disagreement across the reviews on that point. There's a mystery, a complicated romance, family baggage galore, an ensemble cast being introduced, and they all get a decently tidy wrap-up in this book. I look forward to getting to know the rest of the cast and their stories. Romance Reader liked it too. Reason for reading: I'm on a fantasy romance binge right now, and I really enjoyed Draven's holiday novella last year, part of a limited edition collection entitled "Amid The Winter Snow." To be perfectly honest, I tried an earlier Draven title and wasn't into it. Radiance involved an interspecies political marriage and I just can't. However, as I mentioned above, this author combined forces with a few of my favorites last December for a holiday anthology and I loved it a lot. Combined with some buzz on this title, I was keen to get my hands on it. This hero surprised me a little. Tortured and abused for ten years in an arena strongly resembling gladiatorial Rome, he escapes with a mission, with ruthlessness, and yet also with empathy and tenderness, while Gilene is locked down under a tougher shell. Arguably, she has had an easier time, surviving an annual ritual that leaves her scarred, sick, and battered. But in between, she has a family, a home, a community, and work creating dyes (is it wrong that I want to hear more about this? I'm kind of a low-key textiles nerd). The difference is, she has no future that she can imagine, other than continuing this annual hell until she is too scarred and worn out to continue. She never expects to marry, or to bear children, and her role makes her othered in the community, with few friends. She has no hope. What pulled me in was the gradual way that Azarion showed her a possible future. With a community that would respect and honor her gift, rather than one that would literally use her up with it. But she is the only one who can survive the annual tithe... so if she leaves her village behind for love, she is condemning her neighbors and family to death. Some reviewers have found the pacing slow, with the love between Azarion and Gilene taking a good part of the book to develop. To me, that gave some credibility to the enemies-to-lovers arc, and I enjoyed the worldbuilding so much that I didn't find pacing a problem. There are a couple of really pivotal scenes that the author did an outstanding job on. One was a battle to the death involving feats of horsemanship, swords, and an eventual beheading. The other was a scene of intense magical power, and I won't say more to avoid spoilering, but my reaction to it was WOW!! Not every author can pull off those sorts of climaxes. I was never thrown out of the story and never lost my suspension of disbelief for a second. Gilene and Azarion's happily ever after was hard-fought and well-earned. This book appears to be the first in a new series, but I have no insights on whether future books will feature the same couple or different ones. I have some hopes: I hope to read Halani's story, and perhaps Tamura's. Halani, a woman of uncanny healing skills, travels with a merchant's caravan reminiscent of the Romany, led by an uncle of dubious morality and including her mother, who has some sort of mental or neurological delays. Tamura is the hard-riding, hard-fighting sister of Azarion, in love with the headman's wife. None of the male secondary characters jumped out at me, but I am really, really crossing my fingers for Halani. There's also a super-creepy haunted village, a wounded but surviving super-villain, and some mysterious hints about dragon blood. There's DEFINITELY a setup for future books here, and I can't wait.